Adapting a legacy project to use proper Dependency Injection can be difficult. Often times your services can not be singletons, and then those dependencies cause chains of other services to require transient lifetimes. Sometimes these service dependency trees can grow deep, and their initialization can become quite expensive. If you are working with a website, those big trees can add up and cost a lot of time and memory with every request. 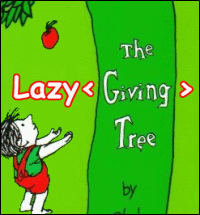 One way to trim a deep or expensive dependency tree is to inject Lazy types of your services. Lazy injection will prevent an optional resource from being instantiated until it is actually needed. While this is not a scenario that you want to architect your application into voluntarily, it can be a crucial performance optimization. Have you ever taken a memory dump of your website and found thousands of services floating in memory? I have, and let me assure you, it's not pretty! Great games peak player interest in 10 minutes or less. The opening moments are crucial to any story. Not only must an introduction immediately engage the audience, but it must also provide incentive to stick around for the entirety of the narrative. If a game does not spark interest quickly, the player will put it down and forget about it. 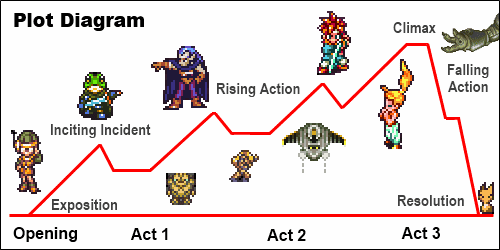 With regard to story, games must adhere to the same dramatic structure as any other medium, but with the additional challenge of including gameplay. A good game must be able to quickly move the player to an interesting inciting incident without sacrificing the fun of gameplay to get there. To help us learn from our past, I have created a simple test to see if a game starts out well. Then, using this test, let us a review some past games to see how well they did! Who am I? I am a witch, one of the only magic users in the world. What am I doing? I am driving a giant mech suit as I invade a town to capture some magic artifact. Why do I care? As the opening narrative briefly explained, this artifact could return magic to the world and solidify the empires global consolidation of power. Also, I am a witch driving a mech, that is really cool! Final Fantasy 6 opens perfectly. It has about 60 seconds of pitching the worlds history to you in the form of narration, during which it never drops any proper nouns such as names, dates, or locations, but in the background we are seeing characters that we will come to learn about later. It is a great setup in that it is quick and vague, yet it will pay off later. After that we have the beautiful and artistic scene of the mechs approaching Narshe, it sets the tone and atmosphere of the game well, but is literally completely skippable. After that we are dropped into combat as an overpowered group of warriors driving giant mech suites and destroying a town...ya, that is just FUN. Who am I? Some rich kid who gets headaches. What am I doing? Wandering around my mansion, being scolded for talking to commoners, complaining that I am bored. Why do I care? I don't. Tales of the Abyss uses the cliche JRPG trope of an angsty teenager coming of age, only this time it is even worse because our protagonist is both rich and sheltered. When the inciting incident finally does occur a half hour into the game, it has no explanation or setup and it puts the lead characters motivations completely in question. All that the main character does for the first 30 minutes of the game is complain about how he wants to get out of the house, and then all he wants to do is go straight back home? Also, was there supposed to be a setup for an actual story hidden somewhere in there? Who am I? I am Mario! What am I doing? I am invading Bowser's castle! I am punching Goombas! I am jumping on Dry Bones! I am saving the princess! Why do I care? I have played Mario in a dozen games before, but never in an RPG where I could actually beat up my enemies in isometric 3D! This is the perfect example of how to leverage your existing IP when making an RPG. Players already have an emotional attachment to the characters and world that you are placing them in, so take full advantage of that. If a player has spent hundreds of hours trying to save a princess in the past, open the game up so that they are immediately feeling that reward. Then, after they are hooked, you can change to story to involve clouds that wear pants and talking dolls. Who am I? I don't know yet. I could be the same characters from the first game, or I could be their kids, I have not played as anyone yet! What am I doing? I am listening to Garret and Issac groan on and on about how their world has changed. I played the first games and I don't even remember any of the places, events, or characters that they are name dropping. I do not know what I am doing now, much less what I will be doing in another 10 minutes. Why do I care? Nothing has even happened yet; so far we have only talked about what is going on in the current scene, which seems to have nothing to do with the plot. Dark Dawn falls into the age old sequel pitfall of trying to explain too much about the games that came before it. This exposition drags on for far too long and only serves to alienate the player from the game itself. When you can "play" a game for 20 minutes, and never actually get to play the game, something is very wrong. Who am I? I am Cthulhu. What am I doing? I am going to bring insanity and destruction to the worl...oh, wait...I have to save the world? WTF? Why do I care? Whether we know it or not Lovecraftian lore has permeated our culture; now we are being asked to comically flip our preconceived notions on their head, and man is it funny. Cthulhu Saves the World takes the opposite approach to most modern RPGs: it is less dark and less serious than the source material which it is based on. Humor is a very powerful and seemly underrated tool in the game market, especially among RPGs. Players do not always want to see the world end. They do not need to watch characters brood. Sometimes gamers just want to have FUN. It amazes me that a little indie company like Zeboyd Games can figure that out, while a giant like Square Enix seems to have completely forgotten it. Which other games can these opening questions be applied to?